Sankt Anton is one of the most renowned places to ski in Austria along with Kitzbühel. 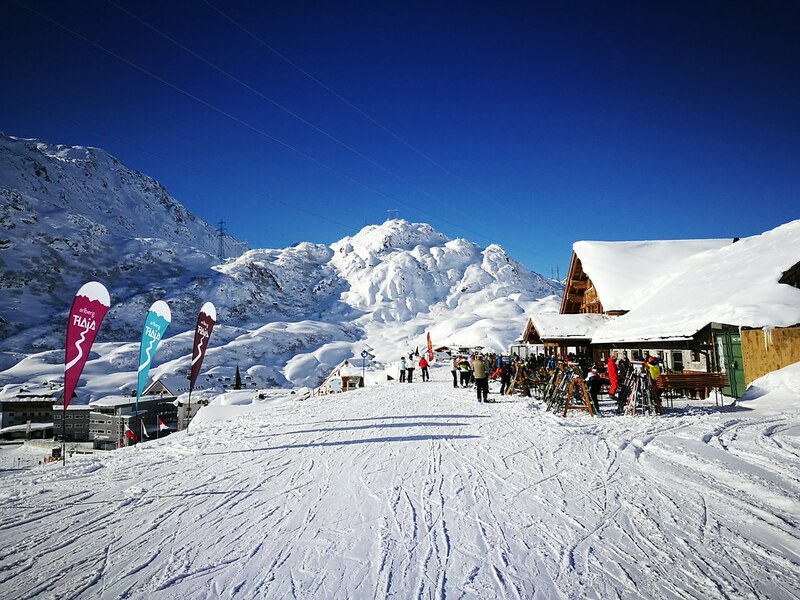 In its marketing material, the whole Arlberg Ski Area (comprised of Lech and Zürs with several more villages) is dubbed as the ‘Cradle of Alpine Skiing’. After all Hannes Schneider, the skier behind the Arlberg technique of skiing which is still being taught today to beginner skiers was born in the neighbouring village of Stuben and taught skiers in St. Anton. 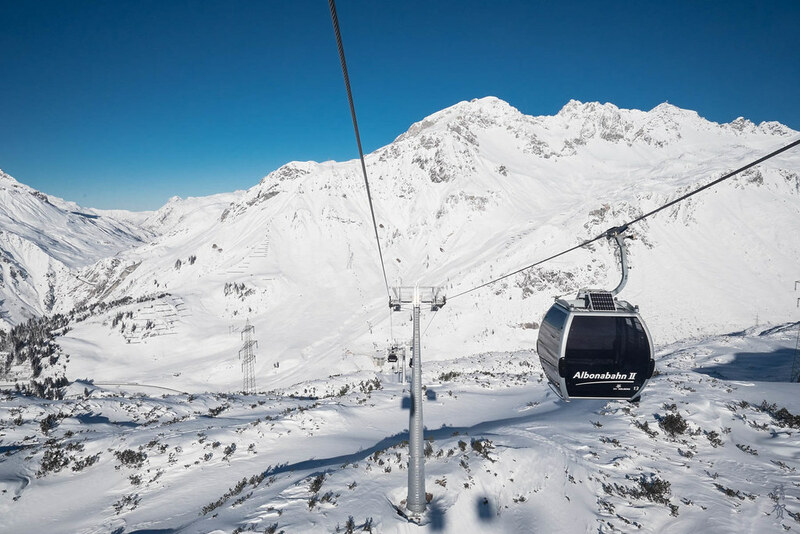 Together with Lech, Zürs, Stuben, and St. Christoph, St. Anton is part of the Arlberg Ski Area, with a total of 87 lift and gondola systems and allowing skiers to access more than 300km of marked ski runs. 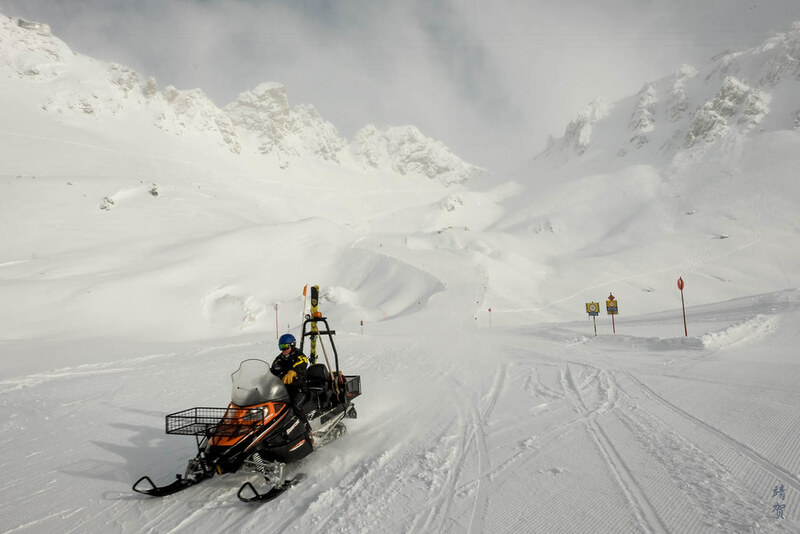 That certainly makes it one of the largest ski areas in the world, and would offer similar skiing experiences to Les 3 Vallées in the French Alps. And thus the question is whether it makes sense to even ski in such a large area when one might not even get to cover all the runs? Located conveniently halfway between Zurich and Innsbruck, the town is easily visible from the main highway and that makes it very accessible. 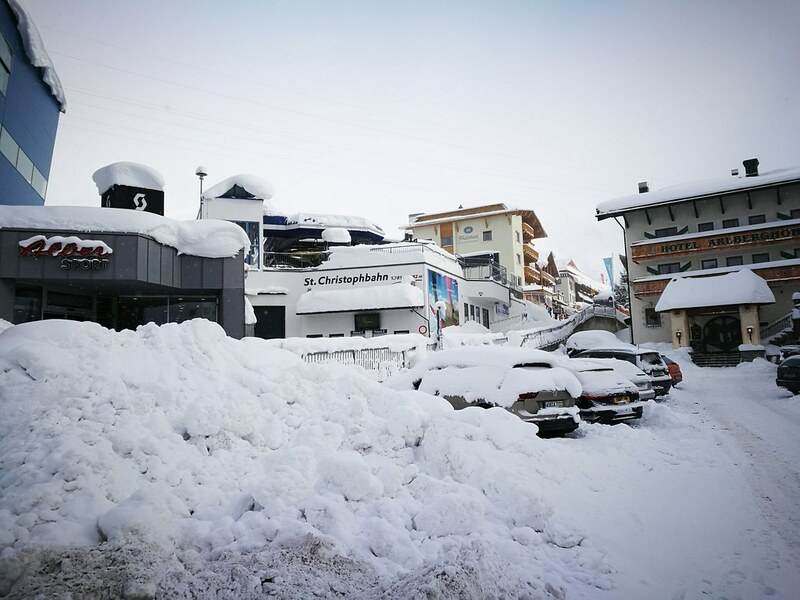 There is even a train station right in the centre of the town, which makes it easy for skiers who are not intending to rent a car. St. Anton in itself is a pretty compact and linear town and slightly larger than Ischgl as it is more spread out. 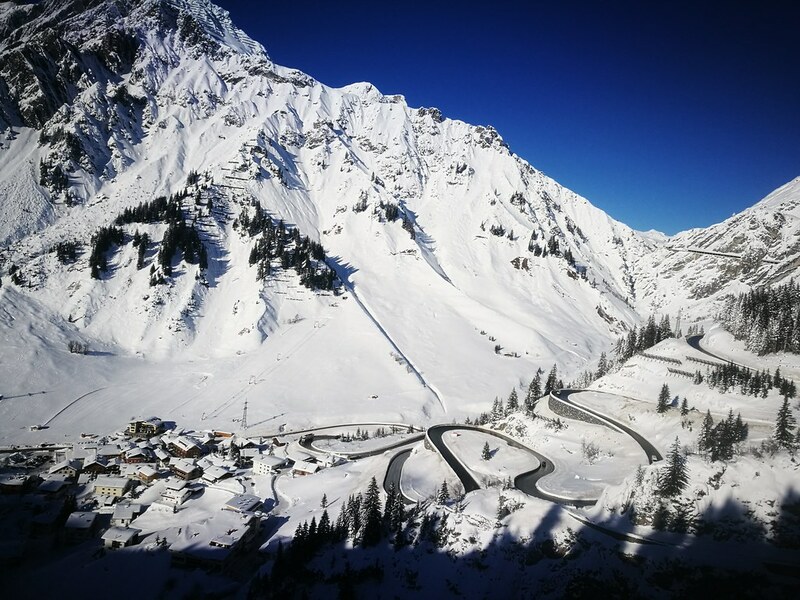 I drove to St. Anton from Zurich and it was a very nice but expensive drive as drivers need to pass by the Arlberg Pass Tunnel which is also one of the longest tunnels in Europe, so it can be an experience in itself. The town has 2 main streets, with Alberg Strasse acting as the main thoroughfare that separates the train station from the town. In the centre of town, the main street is Dorfstrasse, which is a narrow street that is crowded with skiers and pedestrians so drivers are advised to drive slow here. Two main bus stations are at each ends of the town, with the West Terminus being closer to the train station and the busier part of town and the East Terminus located closer the larger parking space and the apartment accommodations. The East Bus Terminus is also closer to the highway exit. From the base of the town, there are 3 main cable cars with Galzigbahn and Rendlbahn departing from the West part and Rendlbahn being located above the bus terminal itself. 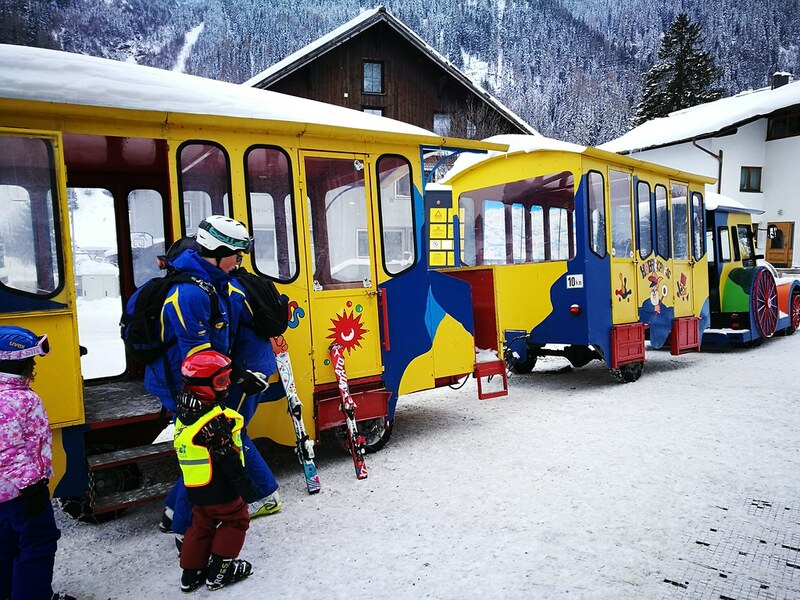 On the East end, Nassereinbahn brings skiers up to Gampen. If skiers want to ski all the way to Lech and Zürs, they best take the Galzigbahn for a faster route. Most day trippers like myself usually take the Nassereinbahn as it is closer to where I park. 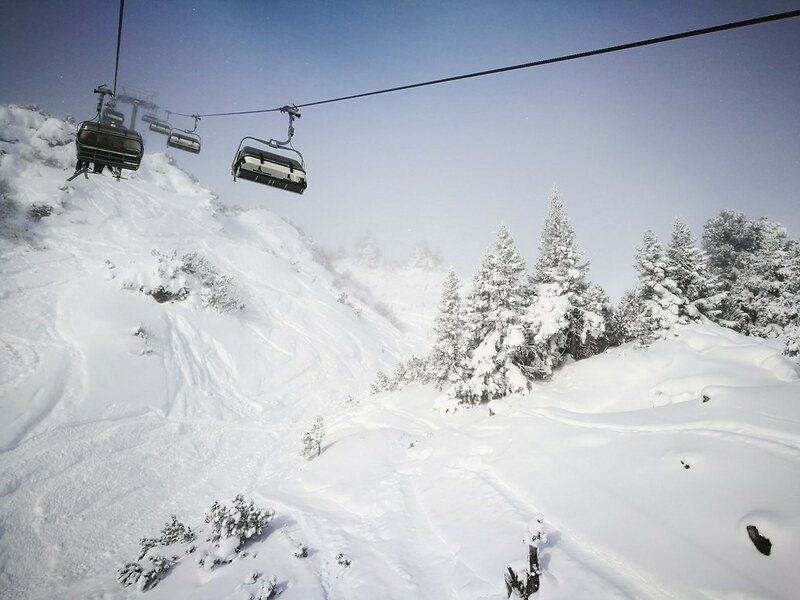 There are also 2 chairlifts – Gampenbahn and Fangbahn, located in town, with Gampenbahn connecting to the top of Nassereinbahn. On the Gampen side at the mid-mountain, a 6-seater chairlift – the Kapallbahn brings skiers up to the Kapall summit at 2,330m. The rest of the Gampen area has a few more T-bars but there are several other chairlifts over on Rendl and the 4-seat Zammermoosbahn that connects skiers from Gampen up to Galzig. 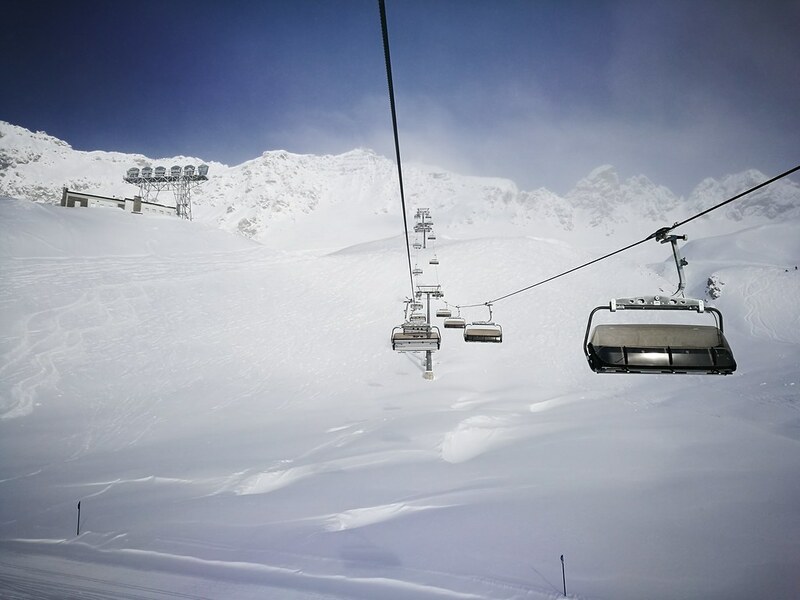 From Galzig, skiers could head down towards the Galzigbahn station to take the Vallugabahn aerial tramway to reach the peak of Arlberg – Valluga, which is the highest lift-accessed skiable area at 2,811m. While this tramway is an impressive sight in Galzig, it can be frequently closed due to weather thus skiers should make it a priority when it is open. The area is generally for advanced skiers only but visitors could always take the ride up for sightseeing! 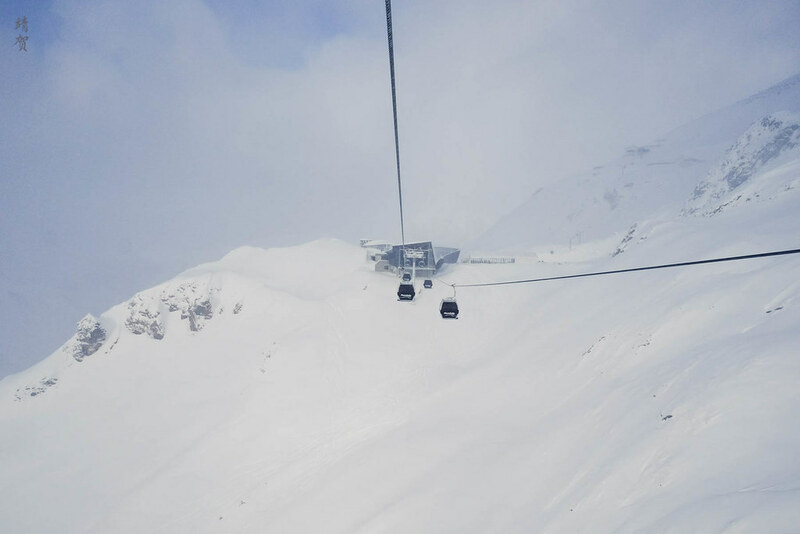 Of particular note in the 2016/17 ski season was the Flexenbahn cable car that actually bring skiers to the mountain summit between St. Anton and Lech, allowing skiers to really just use the lift system to get to Lech and Zürs. 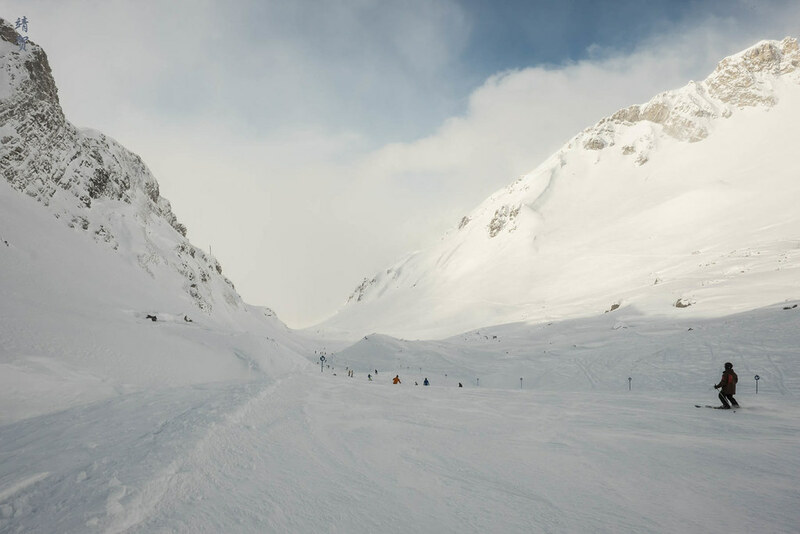 In the past, skiers had to take the bus from St. Christoph to get to Lech. Over on Stuben, there is the Albonabahn cable car that connects the Albonagrat summit to the village. 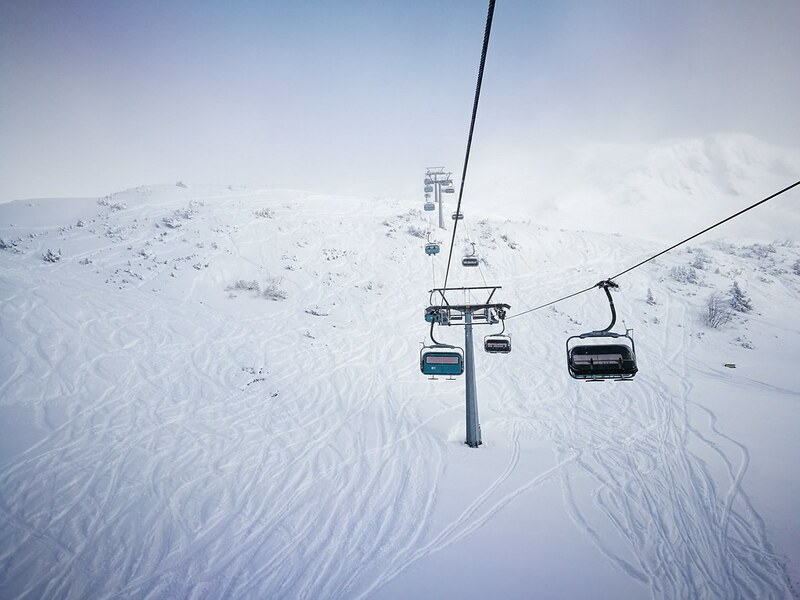 This cable car is usually quiet and sees far less crowds compared to the rest in St. Anton. The base of Albonabahn is linked to the base of Flexenbahn and the 6-seater Valfagehrbahn chairlift and the elevation difference is made negligible with elevators. 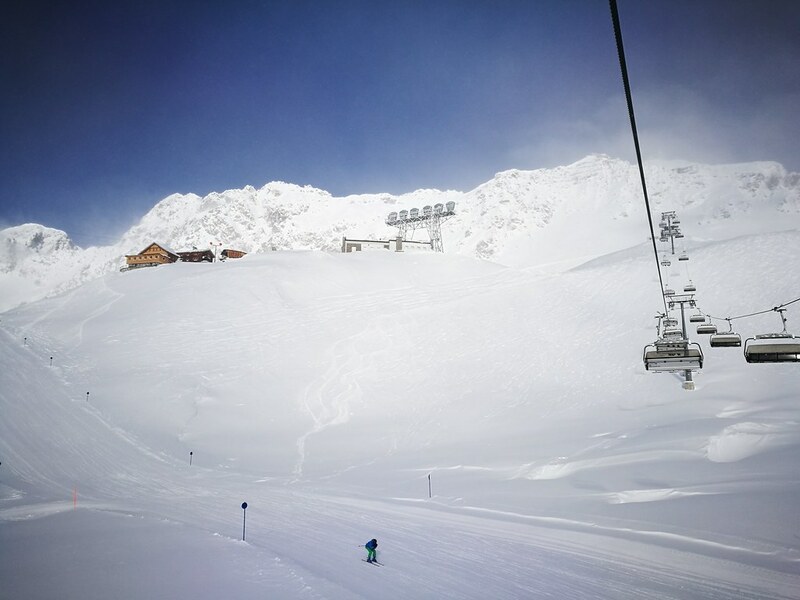 In St. Christoph there are several other chairlifts like the 6-seat Arlenmähderbahn and 3-seat Schindlergratbahn which provides access to the shorter Schindler Spitze at 2,660m. Even with all that is being said, these are just but the major chairlifts in St. Anton, St. Christoph and Stuben which I consider as a large ski area in itself. The lift infrastructure over in Lech and Zürs is equally diverse and covers as much terrain, and the fact that all of them are now accessible by way of cable car and lifts, they are really accessible on skis. 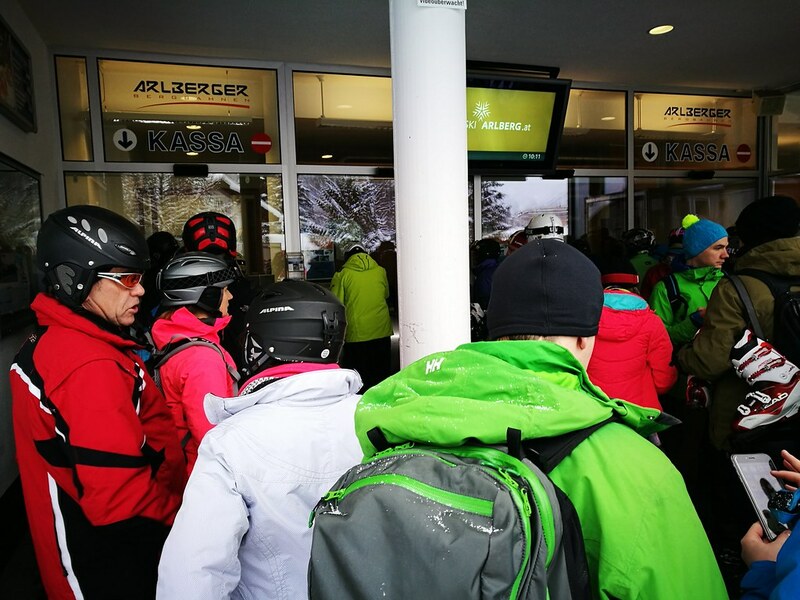 Prices for daily lift passes starts from EUR40 for half a day starting from noon, and goes up to EUR52 (~$60) for a day. Two day passes go for EUR102 which has little savings compared to daily passes and that is the largest difference to North American ski resorts pricing method. Since all the prices includes taxes, these indicates far superior value compared to North America where big mountain skiing means a cost of $100 and more per day when buying just a day lift tickets. As far as value goes, I would consider it to be very good value considering the acres of skiing terrain in the area. These prices are also on par with the cost of daily lift tickets in Les 3 Vallées, which is the largest linked ski area in the world. Considering the higher chances of more snow in Arlberg, I would say it is better to spend the same amount of money here to get the better snow quality! 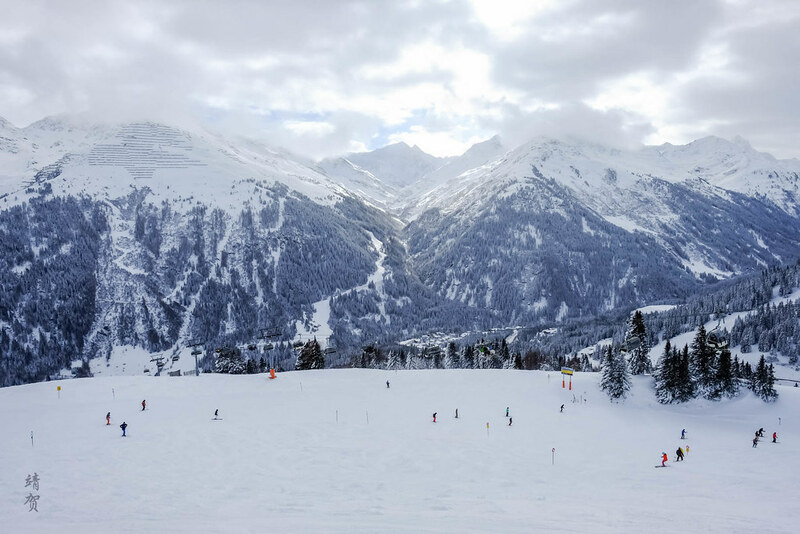 Compared to Ischgl, St. Anton is more intimidating to beginners since there seems to be more crowds here, as it is a more famous ski town after all. 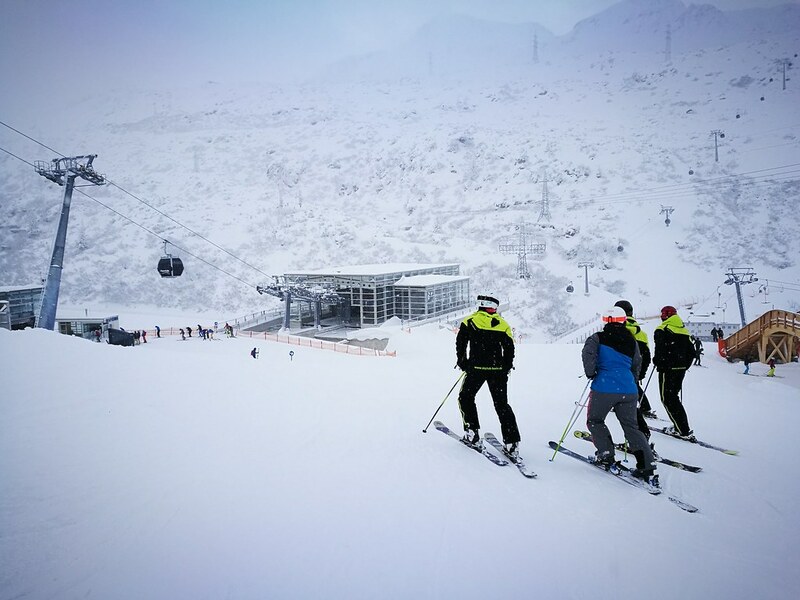 There are blue slopes that could allow more confident and skilled beginners to ski from the top of Gampen and Nasserein all the way down to town but the ski conditions can be quite choppy closer to the base as many skiers track the runs. 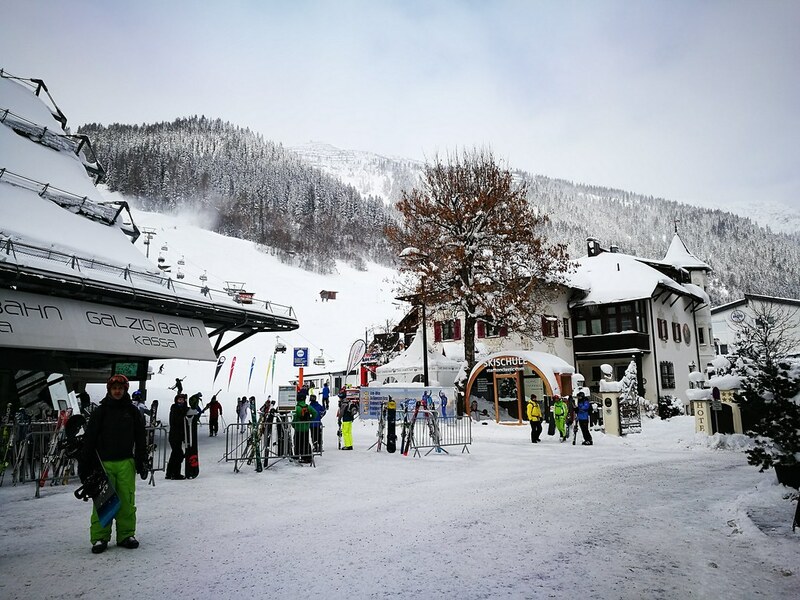 In the St. Anton ski area, the learning area is dubbed Kinderland and is located near the base of Nassereinbahn which is popular for the kids ski school. There is a much quieter learning area at the base of St.Christoph but beginner skiers staying in St. Anton probably need to take a bus to this side. Beginners who are practising are probably resigned to using the T-bars at the base or the area just east of Gampen, and the area in Rendl served by a 2-seat chairlift. The good part for beginners who can pick up the sport fast is that there are wide and long runs to allow faster progression if you have the stamina. 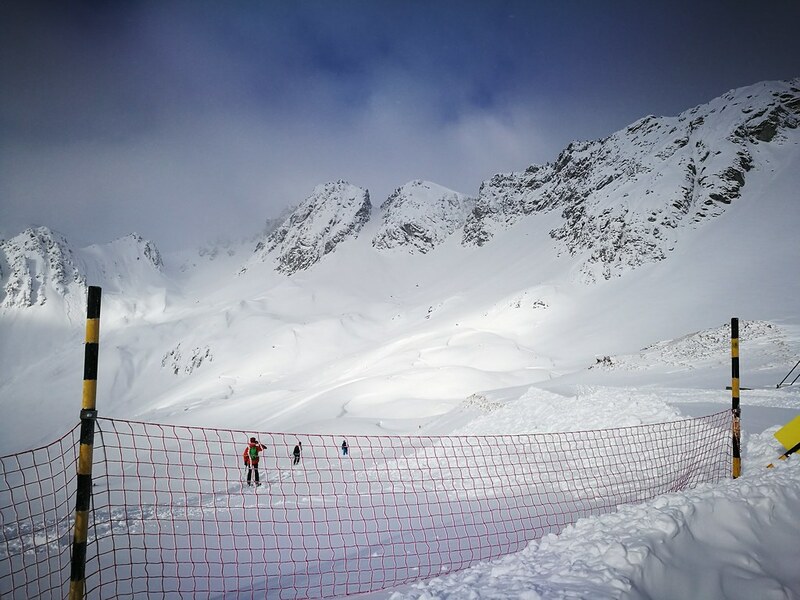 Otherwise, beginners are probably better served in the ski areas at Lech and Zürs. 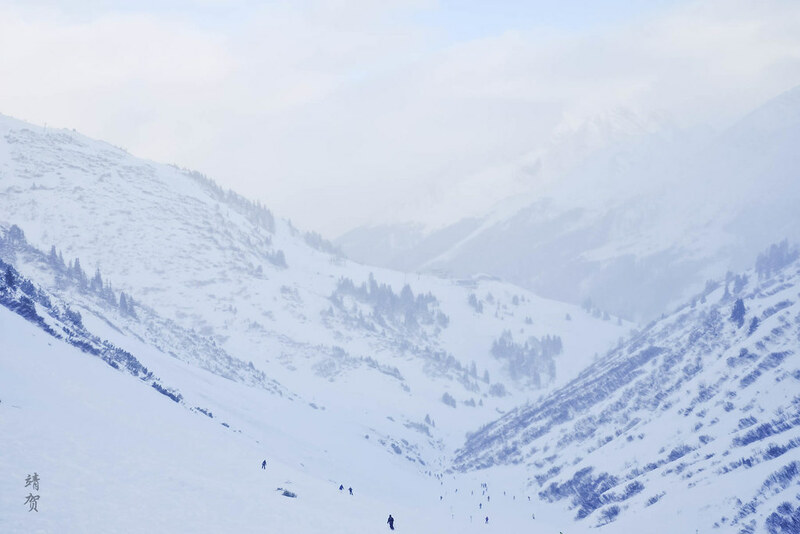 St. Anton provides as much fun for the average intermediates to more experienced skiers. This is where the ski area shines with gentle long pistes and ski trails that have great views with adequate snow depth. From the main village most first time visitors would check out the summit over at Kapall leading into Gampen. There is a long red-marked ski run from the summit to the village, ending at the Galzigbahn base near the train station. Usually busy throughout the day, this is where most skiers finish the day too as the Mooser-Wirt aprés-ski bar is located near the bottom of this run. Over on the Galzig side, where more easy cruising intermediate ski runs leads towards the village of St. Christoph. There are more blue and red cruisers below the Arlenmahder chairlift and the route towards the Flexenbahn and Stuben am Arlberg. 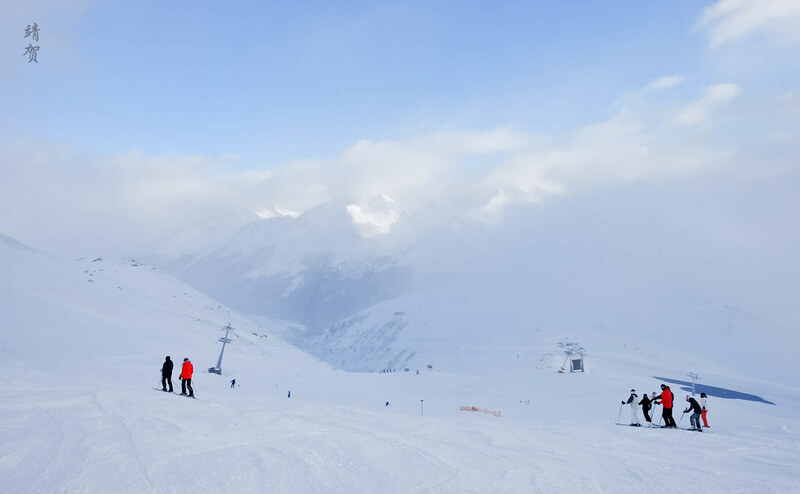 The ski runs above the village of Stuben accessed via the Albonabahn has some good red-marked runs that are suitable for those who prefer less crowds. However the bottom part of the trail leading to the village can get crusty and has narrow winding turns that can make it unsuitable for less experienced skiers. 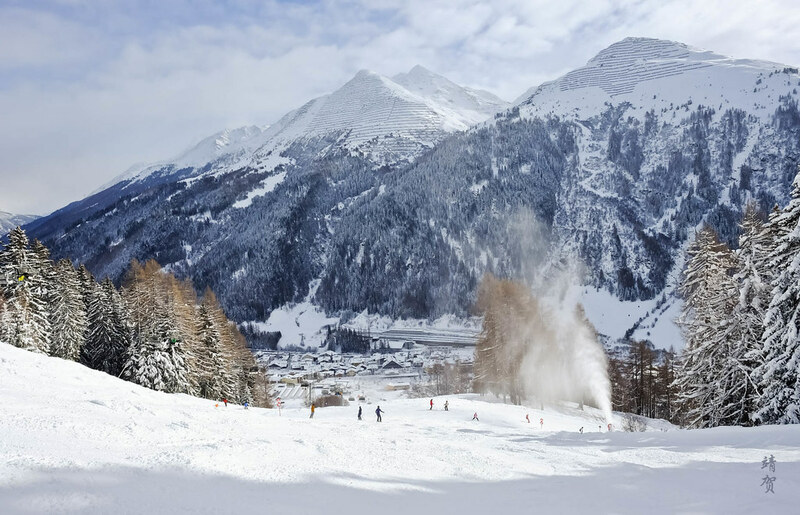 Finally skiers looking for great views can head up to the peak of Valluga or the neighbouring Schindler Spitze where there are thrilling descents from both summits to the Galzigbahn station. And if there is still more days on your stay here, there is more terrain in Lech and Zürs to explore, while across from St. Anton, there are even more terrain via the Rendlbahn gondola. A combination of good snow at the top and snow-making near the village ensures good depth even early in the season. 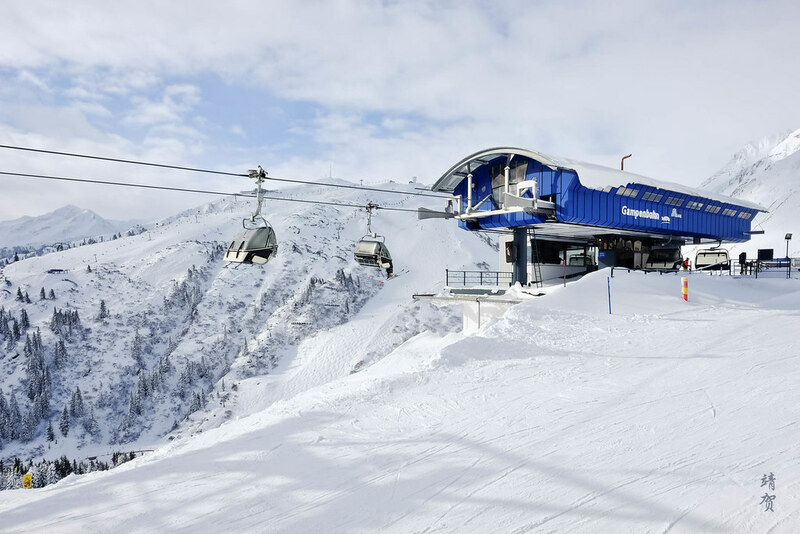 With the variety of ski runs for skiers who are just progressing to the more experienced intermediate skiers, St. Anton can cater to a wide range of demographics and that lies in its appeal. St. Anton and its neighbouring ski areas would also appeal highly to experts and advanced skiers. This lies in its huge backcountry and off-piste possibilities. 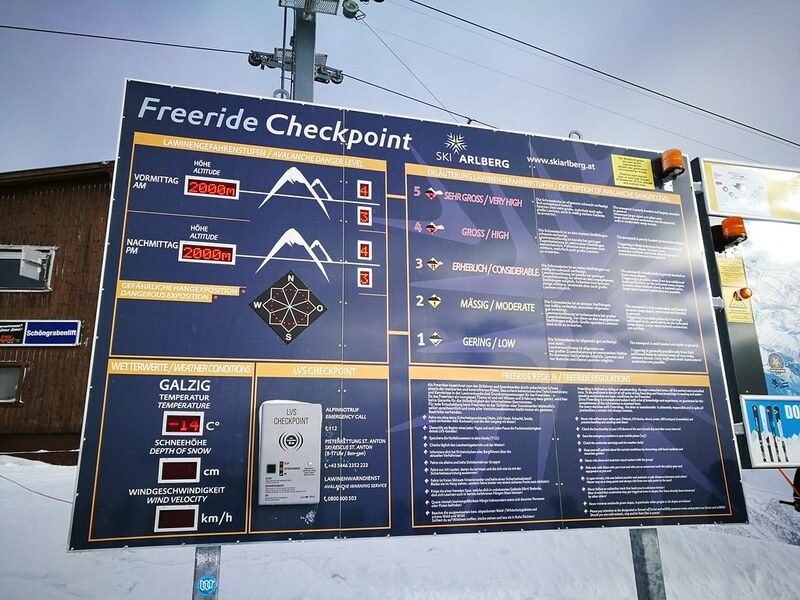 From the Kapall summit, there are gates that allows skiers to ski the backcountry and there are even mountain huts along the way for resting opportunities. 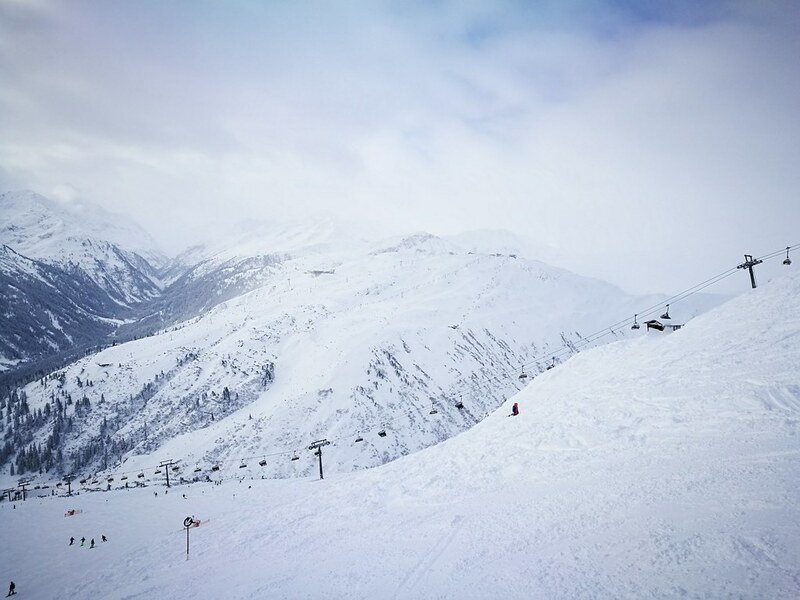 Over on Galzig, there are ski routes from the top of Valluga that cater for skiers who can handle steeper terrains and black-marked runs. From the mid-mountain, the black-marked Kandahar-Galzig route allows skiers to head back to the valley after lunch. 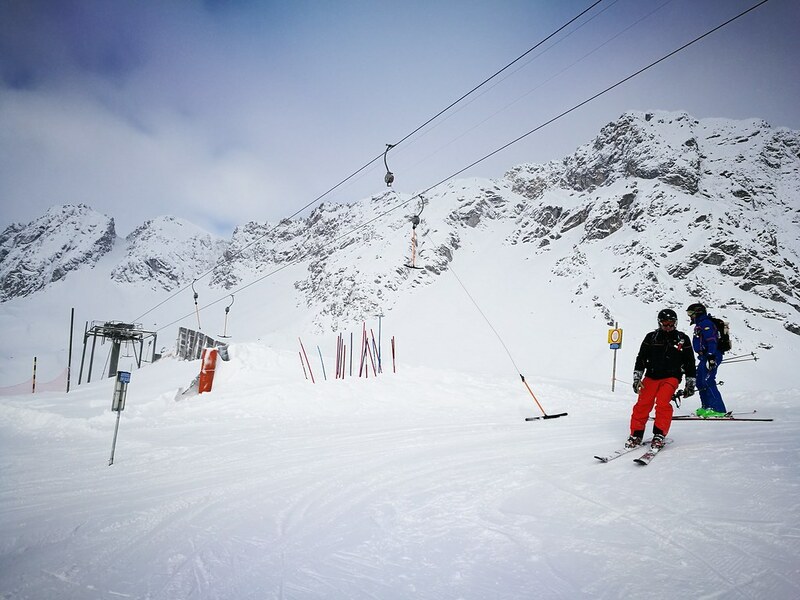 While black-marked ski runs are few on the piste map, St. Anton provides nearly unlimited out of bounds skiing that is permitted. With the large number of skiers in the mountains everyday, chances are you will meet fellow expert skiers even on these backcountry routes. Terrain parks for riders are located over on the Rendl side, accessible via Rendlbahn gondola and seems to be isolated from the rest of Arlberg. Other than that, the majority of the piste seems more suited for on-piste and off-piste skiing. However, skilled park skiers and riders can jolly well make use of the natural terrain around St. Anton to have their own fun. With lots of wide open areas and natural snow mounds, there is definitely a slice of heaven for park riders. 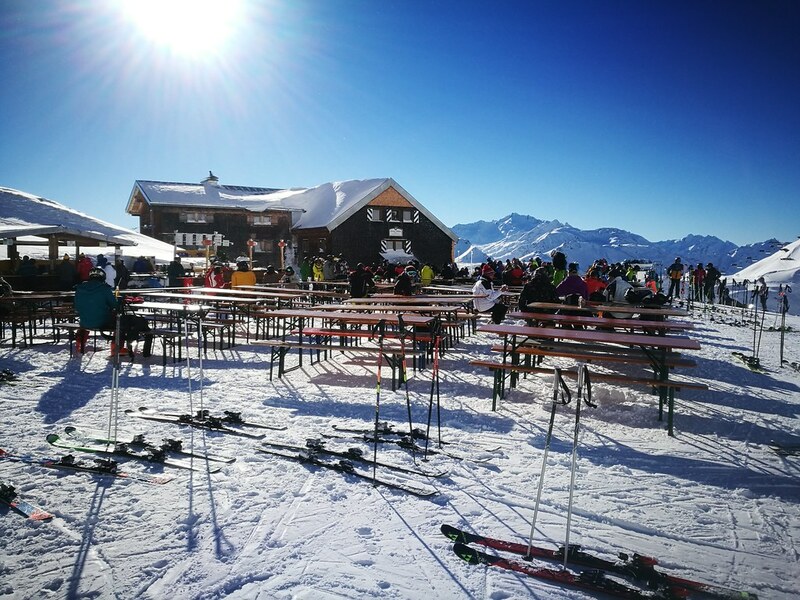 Most popular ski lodges for lunch breaks are probably the ones in Gampen and Galzig as numerous ski lifts depart and arrive here. These 2 lodges have the most complete facilities as well from ski shops to sit-down restaurants. The bistro at Gampen even has a large outdoor seating space for when the sun is out or when one skis in April. 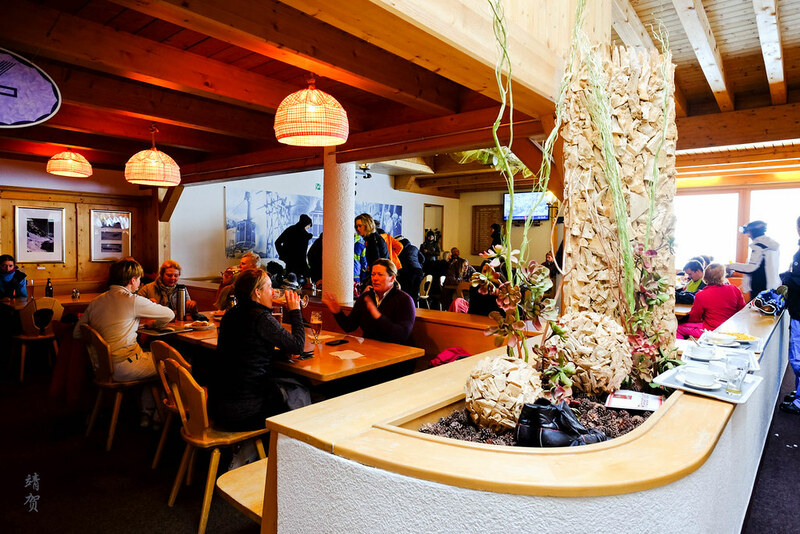 There are patios as well at Ulmer Hütte which is conveniently located on the route from St. Christoph to Stuben. For a large ski resort, there does not seem to be too much on-mountain lodges like Ischgl. However, inside the bistros and self-serve restaurants there are ample seating spaces even during lunch hour so over crowding is not that big of an issue. 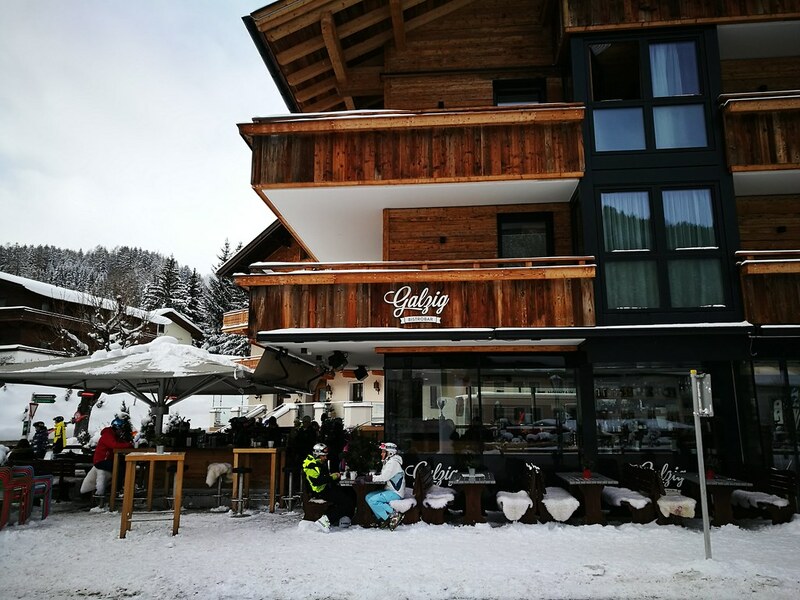 In addition, some skiers also tend to have their lunch in the base village or neighbouring villages where numerous hotels have their own restaurants. 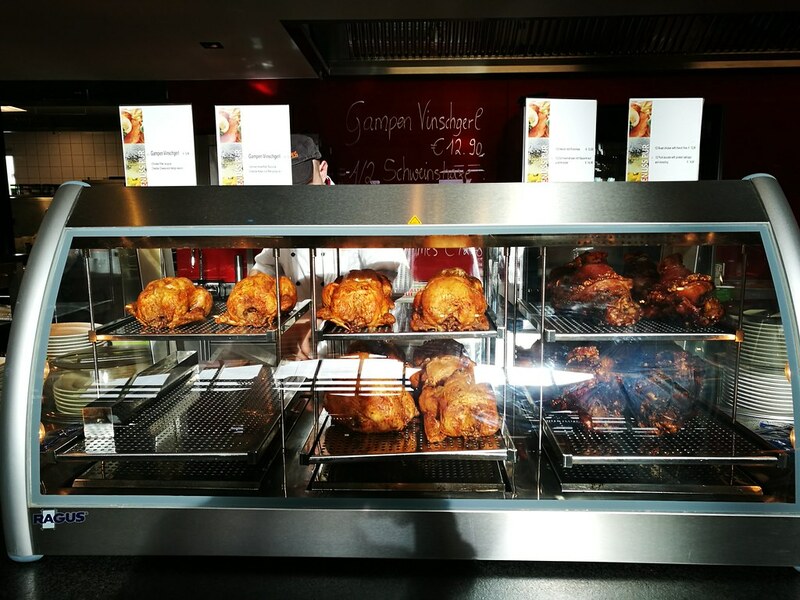 Predominantly Austrian/German cuisine is served in the mountains here with many meat-based dishes like schweinshaxe (pork knuckles), bratwurst (veal/pork sausages), spätzle (pasta) and rosti. Since I like some of these meat-based dishes, I enjoyed the food in the mountains but other skiers would probably want to consider having their lunch at the base village where there would be more choices. While the food choices might be limited, the beer is great and cheap so it is always nice to relax with a mug of beer while on the mountains! 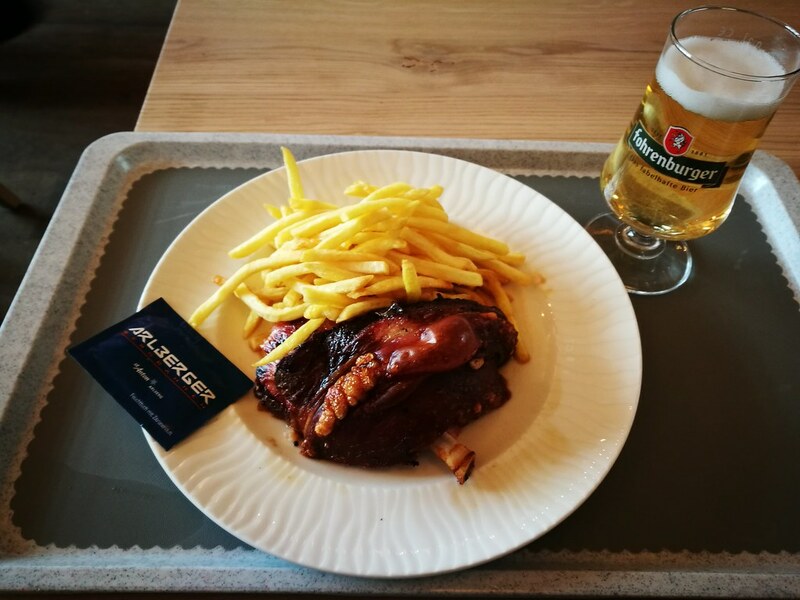 Generally, a comprehensive meal here with beer costs between the range of EUR15-20 depending on your choice of main courses. The prices are fair considering it includes taxes and the quality of food is usually better than the average ski resorts in North America. 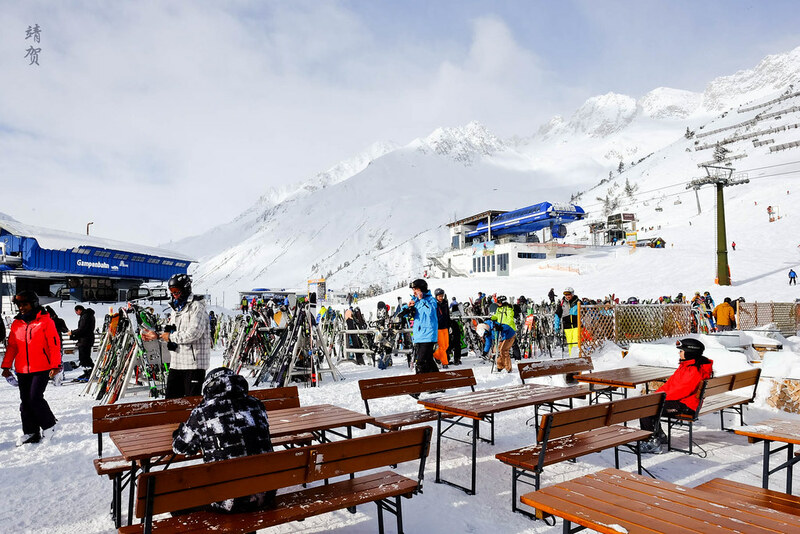 At the end of the ski day, there are hotels at the base of St. Anton, Stuben and St. Christoph with St. Anton having the widest choices of accommodation, and Stuben being limited to pension hotels and apartment lodgings. Over in St. Christoph, there is the relatively large Arlberg Hospiz Hotel for skiers wanting to stay in the quieter and smaller villages. This is because St. Anton is noted as a one of the party towns and it can get noisy when staying around the main street (Dorfstrasse). 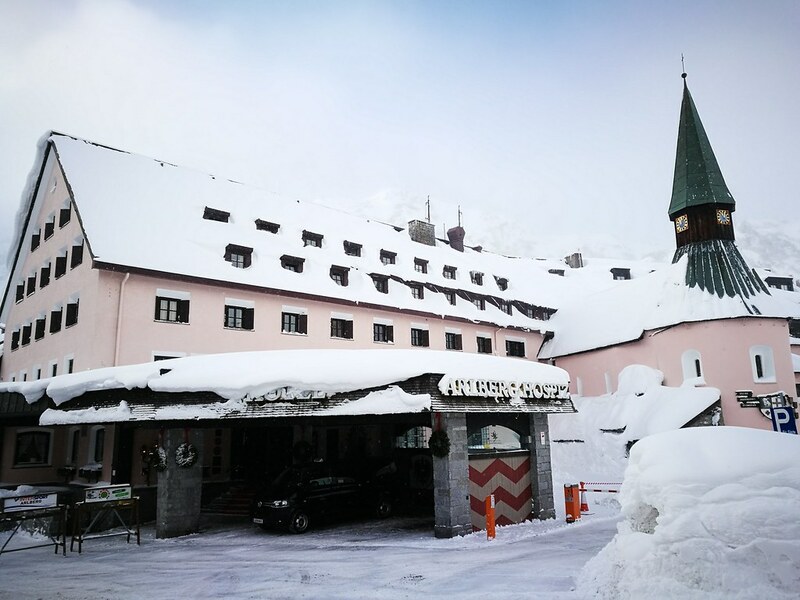 For first time visitors, St. Anton is a great location to be based at with several high end hotels like the Hotel Post and the Hotel Tannenhof which is part of the Small Luxury Hotels of the World. There is a wellness and spa centre in town allowing skiers who stay in hotels without a spa to relax and unwind after skiing. As a renowned ski town that parties a lot, St. Anton has a vibrant aprés scene. 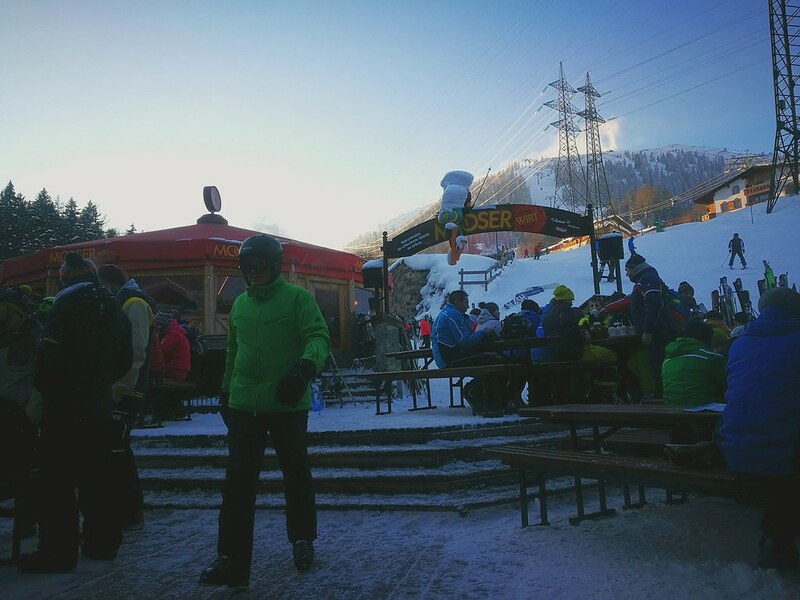 Just before the base of the Galzig gondola and Gampen chairlift, there is the Krazy Kanguruh and Mooser-Wirt bar, both are famous spots to unwind after a day at the slopes. For my first time visiting Austria for skiing, it really opened up to my views of aprés partying since it is of another level. Expect lots of beer, tabletop dancing and plenty of rock music! If loud isn’t your thing, there are plenty else to do in the village with shops and bistros providing a more relaxing ambience to catch up on the day’s adventure on the mountains. Alternatively, when I visited, Audi was having a winter driving experience event where participants could have a hand at drifting on the snow in a brand new Audi S5. 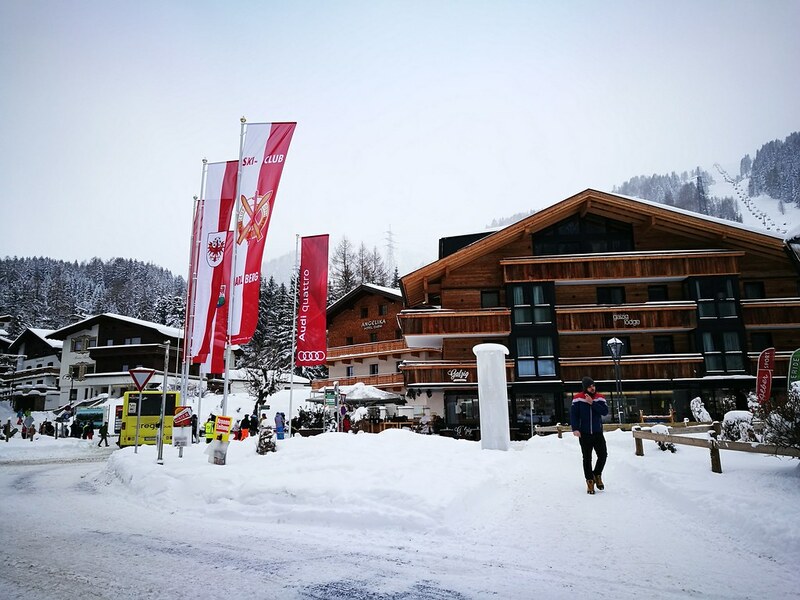 Audi and some other German car makers hold such events frequently at the top ski resorts in Europe and skiers who also have a taste for automobiles and driving can find out more about them, as Audi hosts the even in nearby Kitzbuhel as well. Whatever your other interests lie in besides skiing, there are plenty of other activities to enjoy in St. Anton. A combination of a relatively large town with visitors who have a penchant for partying, the atmosphere is vibrant even after the ski lifts close and that probably marks another highlight of visiting St. Anton because it is rare for ski towns to remain lively when the last chair stops operating. Some of the best views could probably be had from the top of Valluga but I did not have the chance to visit it due to the aerial tram being closed. High winds and low visibility could sometime make it difficult to get a nice panoramic summit view from the top. 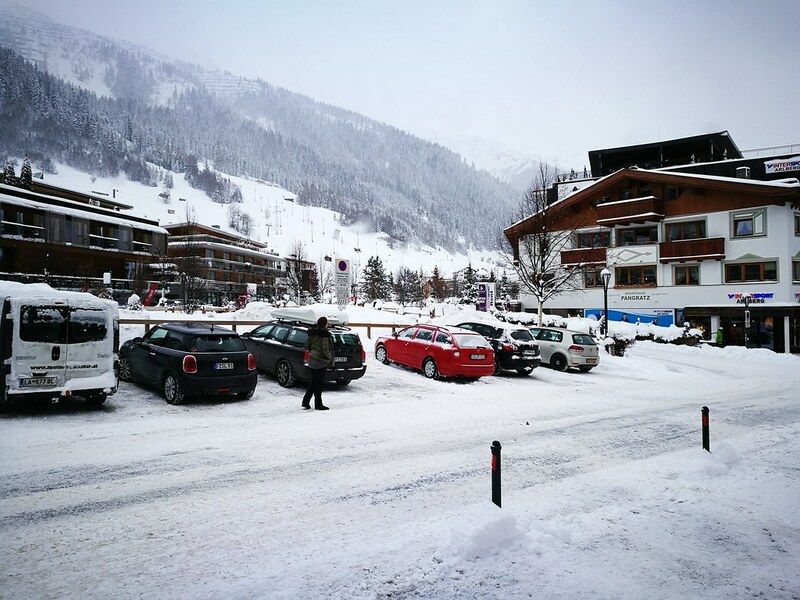 While majestic views of snow-capped mountains are still great, the views in St. Anton is not the most picturesque. 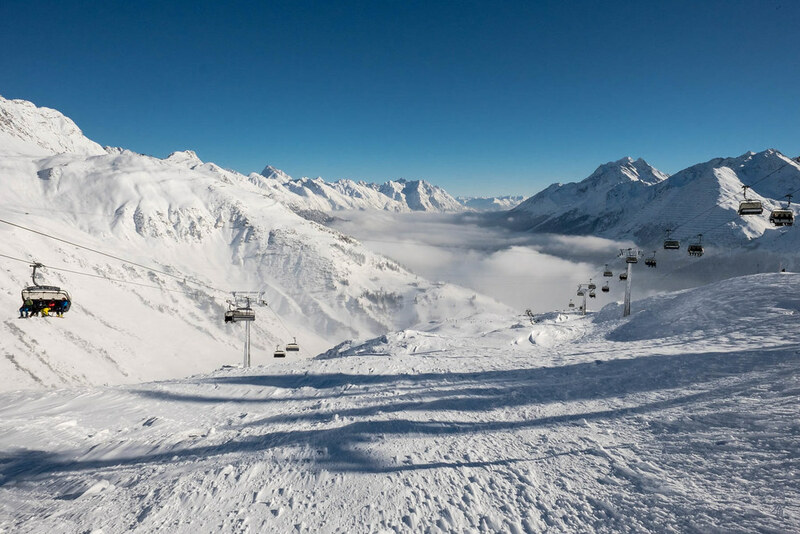 Personally, I find summit views nicer from the Lech and Zürs ski areas, while St. Anton is really the place to enjoy the advanced slopes and skiing. 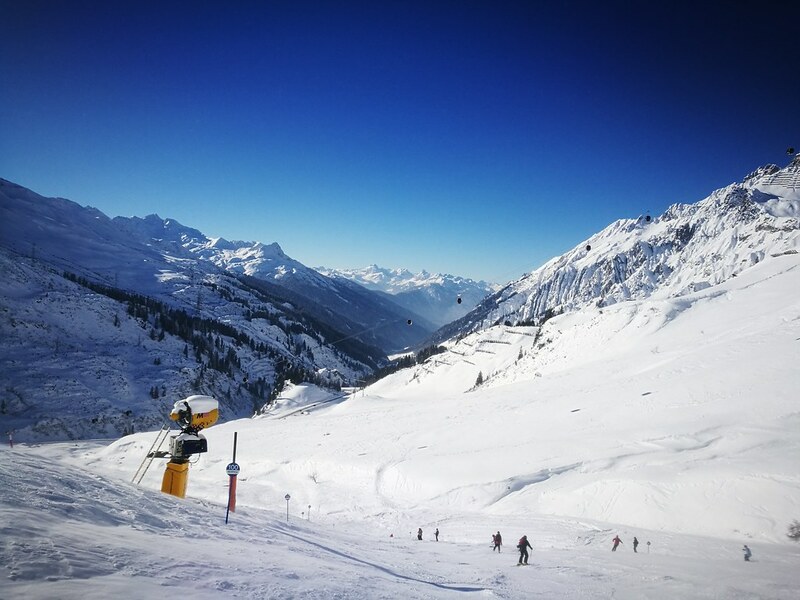 St. Anton on itself might make it one of the best ski resorts, but the new Flexenbahn connection that allows skiers to ski all the way to Zürs and onward to Lech makes this ski are a favourite of mine. 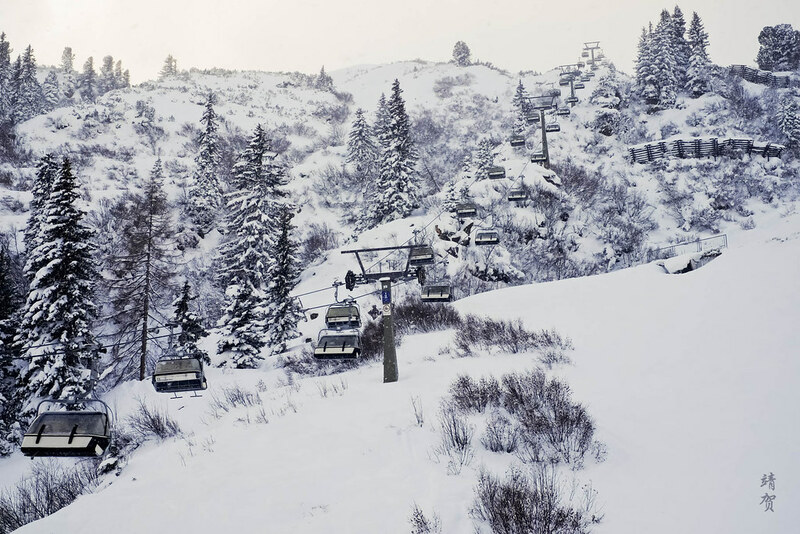 With unlimited possibilities and plenty of terrain to find one best suited for your abilities, this ski resort deserves to be on every skiers bucket list. 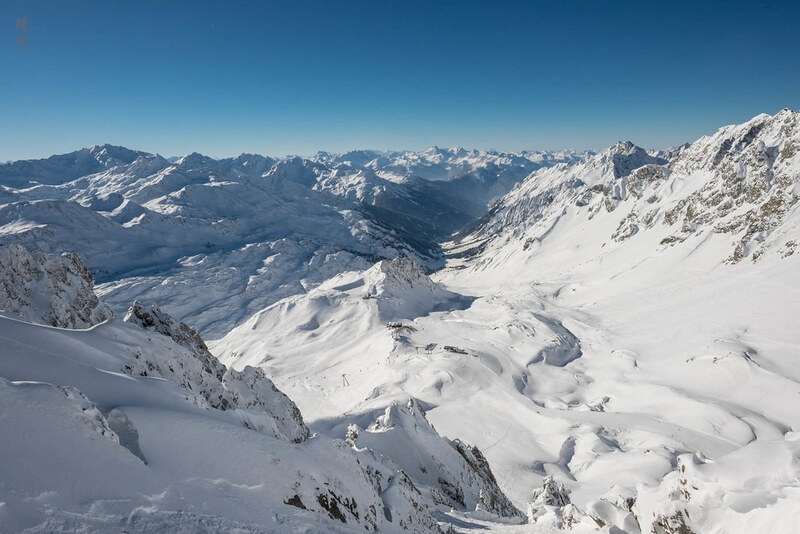 From long cruisers to powder stashes, St. Anton has plenty of them, while excellent lift infrastructure, good value lift tickets and a vibrant town to enjoy all the trappings of a modern lifestyle just makes it all the better. And that is perhaps why this ski resort has instantly become my new favourite for skiing!